With extensive education and experience in the sciences, and her former role as in-house legal counsel to a multi-national agribusiness, Kristal Allen adds a wealth of practical and industry knowledge to her legal expertise when advising clients in the technology and agribusiness sectors. Kristal Allen returned to MLT Aikins after several years as senior legal counsel and chief privacy officer to a large public company with operations across the globe. 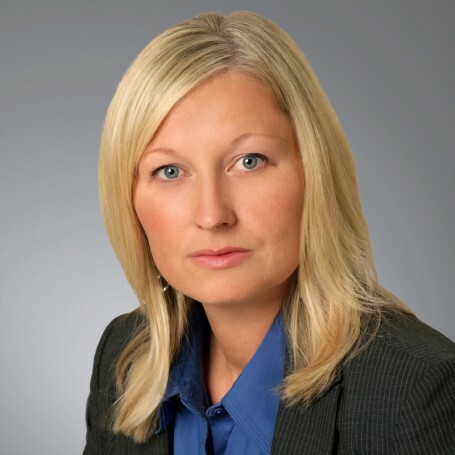 Kristal’s practice focus is on the management, exploitation and commercialization of information and intellectual property assets and new technology. She has extensive experience with research consortium arrangements, technology development and commercialization agreements, intellectual property portfolio management, and both in- and out-licensing. She is experienced in all areas of information technology, including software development and licensing, outsourcing and service agreements. Kristal also brings knowledge of risk management and policy development related to data sharing, electronic documents, information assets and privacy. She has advised both private and public sector organizations extensively regarding health, employee and customer information privacy matters. Kristal draws upon her experience in the life sciences and technology industries in her practice. Before becoming a lawyer, she held a variety of positions in areas such as technical marketing, regulatory and new product research and development for major life sciences companies, providing advice to producers, marketers and regulators. She has conducted research on an array of matters relating to biotechnology, transportation and international trade. GDPR is 6 Weeks Away – Are You Ready? When Are Text Messages Private?